WE ARE ENGAGED IN A VITAL, NEW PUBLIC ENTERPRISE. Our mission is to build and equip the Cyber Center for Education & Innovation (CCEI) and Museum dedicated to explaining the vital role cryptology, signals intelligence and cybersecurity play in defending our nation. 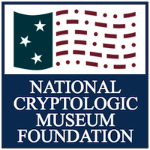 It is a personal honor to help lead the rapidly emerging private-public partnership between the National Cryptologic Museum Foundation (NCMF) and the National Security Agency that will seek to make this mission a reality. To EDUCATE the public about the role of cryptology, signals intelligence and cybersecurity in our nation’s defense. To STIMULATE visitor understanding regarding how mathematics, computer sciences, engineering, technology and foreign languages are integrated in the NSA’s work. To COMMEMORATE the extraordinary accomplishments, contributions and sacrifices of the NSA civilian, military and contractor community and the people who have served within it. While the NSA will assume the operating costs for the new facility, the burden of securing capital construction funding falls to the NCMF. For that reason, we have begun to organize a building campaign seeking roughly $60 million from private and public sources. 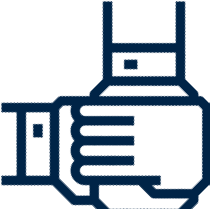 This campaign is led by a “Founders’ Group” consisting of distinguished and committed leaders from the corporate and philanthropic community—people who share and support the visionary goals of the project and wish to help make it a reality. I invite you to look closely at this presentation. After doing so, I hope you will choose to participate in this most important endeavor by becoming a Founder. Please click on the image below for enlarged view. Get tips on visiting the Museum - including Apps, tours, and more.